Great Blog Hop! Did you win? Miss Darcy couldn’t be happier about the successful 2013 Summer Splash Blog Hop! With all the authors giving away goodies, I hope you won some of the swag. If not, the next one might be your lucky Hop. Congratulations to all the winners! Miss Darcy hopes that if you didn’t win this time you’ll try again on the next hop. Miss Darcy celebrated the beginning of summer with the Daughters of Sweet’s Racing Club. Most of the ladies were overly excited by the thought of the 2013 Summer Splash Blog Hop running from July 26th through July 29th. Due to their distraction Miss Darcy managed to win at whist once more. She is considering putting out her shingle as a cardshark although she would never consider fuzzing the cards (cheating). Now Miss Darcy is aware you are anxious to learn about the 2013 Summer Splash Blog Hop and you’ll find the information below the excerpt. “You want me to spy on your grandson?” Lady Judith Hallowell’s well-bred voice was tinged with astonishment as she looked over the rim of the bone china teacup at Lady Letitia Bellingham. Under Judith’s baleful glance, the older woman had the grace to look self-conscious but it was only a momentary lapse. Catching the twinkle of mischief in her goddaughter’s golden-hazel eyes, Letty snorted. “I always warned your mother, my girl, that you had the tongue of an adder. No wonder you’re not married,” she snapped. “But, Aunt Letty, your family has always been for England,” Judith said, surprised at the request. “Yet he returned to America?” Judith asked with surprise. “I’ve never even met the man and already you’re planning to call the banns,” Judith said, throwing up her hands in exasperation. “Never mind, child. It was just an interesting thought that crossed my mind. You needn’t marry Nathanael unless you’ve a mind to.” Letty laughed at the appalled expression on Judith’s face. Thus begins Judith’s adventures in America in The Divided Hearts. What an exciting story it is. How was Judith to know that this simple beginning would lead to a scandal that would rock society? Even Downton Abbey hasn’t seen the likes of this! Now Miss Darcy is aware you are anxious to learn about the 2013 Summer Splash Blog Hop and her own giveaway prizes. From July 26 until Midnight July 29th you will have a chance to meet 48 independent authors and win some fabulous prizes. To enter Miss Darcy’s contest and to hear the rest of the details CLICK HERE! Miss Darcy loves to hear from you! Although her correspondence is extensive, she always has time for faithful readers. She answers all inquiries as etiquette requires! Season Three of Downton Abbey introduced a character from America. Shirley MacLaine spiced up the show playing the American mother of Cora, Countess of Grantham. One of the reasons it worked so well was that viewers could see a striking contrast between the dueling dowagers, one from America and one from England. Most of the regencies are set in England so it makes for a very unique story to have one set in America. THE DIVIDED HEARTS is set in Newport, Rhode Island just prior to the War of 1812. It’s a time of rising passions as allegiances between England and America are tested. Now add a romance between an English gentlewoman and an American man. Let the sparks fly! If you love Downton Abbey and Jane Austen you’ll love The Divided Hearts! 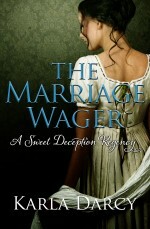 This is the 7th book in the Sweet Deception Regency series. At the death of her mother Lady Judith Hallowell decides to visit her father in America. She agrees to find out if her Godmother’s grandson is still loyal to England. Despite her father’s high praise of the man, she is stunned when Nathanael appears as a pompous dandy with powdered hair and peacock clothing. As she falls in love with a new country, she can’t understand how she can have feelings for someone so shallow and yearns to find someone like the mysterious Palatine who is considered a hero in the fledgling colonies on the brink of war? Or does she? Don’t miss the opportunity to find out. Grab your copy today! CLICK HERE. An American Regency! How Unique! 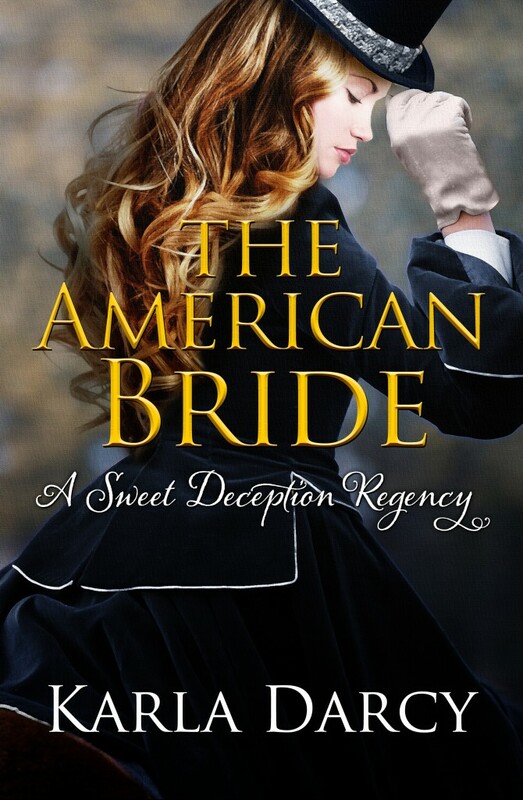 You’ve read The American Bride and loved it but just imagine what would happen if the romance took place in America, not England! It could never happen, you say? Miss Darcy is here to tell you that it could! This is the publishing day for THE DIVIDED HEARTS!! Lady Judith Hallowell leaves the drawing rooms of London to visit her father in America. Used to the sophisticated entertainments in England will the society in this raw new country be to her taste?Before she sails to America she agrees to find out if her Godmother’s grandson is still loyal to England. Despite her father’s high praise of the man, she is stunned when Nathanael appears as a pompous dandy with powdered hair and peacock clothing. As she falls in love with a new country, she can’t understand how she can have feelings for someone so shallow and yearns to find someone like the mysterious Palatine who is considered a hero in the fledgling colonies on the brink of war? How could her heart be so divided? Miss Darcy is planning to celebrate the new book this week with the special price of $2.99 for two days. Don’t miss your chance to get your copy HERE. An American Regency? What a twist! 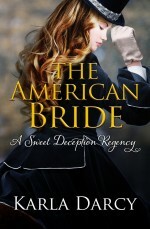 Miss Darcy is very excited that The American Bride has received such wonderful reviews. What an intriguing tale. Married by proxy! Will Caroline Leland be bedded by a total stranger when she arrives in England in this delightful romantic comedy? Can a feisty American heiress find love and happiness married to an English lord she has never seen? Cara disguises herself as a dowdy governess to observe her new husband. He’s arrogant and annoying but so very handsome and alluring. She’s courting danger and seduction with this disguise. To avoid discovery all she need do is remain quietly in the background. What an impossible task for this independent rebel! Now just imagine if the situation were reversed! An English woman traveling to America in a time of danger and the rumblings of war. How would she react coming from the drawing rooms of London to this new raw country? Miss Darcy is very excited to tell you that a new book will be available in April. The title is The Divided Hearts, a rousing tale of romance in America. A very unique kind of Regency. Miss Darcy just got the new cover from her publisher and she’s over the moon. In a few days I’ll be able to give you an excerpt of this delightful tale of love and intrigue. Gift Card and a Sneak Peek! 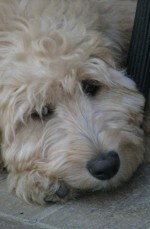 Miss Darcy invites her readers to check out: Booklover’s Bench. Some of my fellow authors and I have set up a website called Booklovers Bench. The purpose of our site is to bring contests to readers. Last month we gave away a Nook Simple Touch. 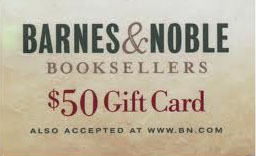 This month, we’re giving away a gift certificate worth $50.00 at either Amazon or Barnes & Noble. New contests every month, so bookmark the site. Our March contest kicks off on March 4th and runs through the 17th. The authors of Booklover’s Bench are pleased to offer the following prizes for our March contest. One lucky winner will receive his or her choice of a $50 gift card from either Amazon or Barnes & Noble. And this time, we’re going to have a runner-up who will win FIVE e-books: One from each of our authors. The winner will be able to choose from any digital format the author provides. To enter the contest click here. As stated in the terms and conditions, by entering this contest, you agree to be added to the authors’ newsletter mailing lists. Of course, you can opt out after receiving any newsletter. Now just imagine if the situation were reversed! An English woman traveling to America in a time of danger and the rumblings of war. How would she react coming from the drawing rooms of London to this new raw country? 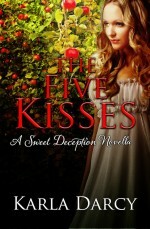 In the next few days Miss Darcy will give you a sneak peek at the new book coming in April. 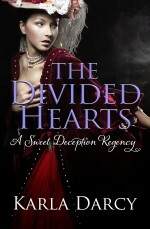 The title is The Divided Hearts, a rousing tale of romance in America. A very unique kind of Regency. On Monday Miss Darcy went to a meeting at the Daughters of Sweet’s Racing Club to celebrate the 200th anniversary of the publishing of Jane Austen‘s Pride and Prejudice. It was a thoroughly satisfying evening. There were readings of course and in one of the private rooms Miss Darcy’s favorite movie version starring Colin Firth was shown. Many sighes could be heard among the gathered ladies. During the party Rafflecopter was used to chose a winner from the entries in Miss Darcy’s raffle that ended Jan. 26th. The winner of the $10.00 Amazon Gift Certificate was Theresa Hurley. The prize was sent to her directly from Amazon. Miss Darcy’s favorite quote from Pride and Prejudice is: “It is a truth universally acknowledged, that a single man in possession of a good fortune, must be in want of a wife.” So many romances have been written based on that very line. In The Marriage Wager Lord Deveraux Havenhurst has been given an ultimatum by his grandfather. Marry and produce an heir or let the title slip to his pompous cousin. It takes a drunken evening with his friends to produce a foolproof scheme. He will marry an actress, get an heir and divorce her. Then he’ll have the freedom to live as he likes. Jane Austen would laugh at such folly. She knew that love could throw a wrench in even the best laid plans. Don’t miss out on this delightful romantic comedy. Download your copy now by clicking HERE. Love Downton Abbey? You’ll Love The Virtuous Ward! 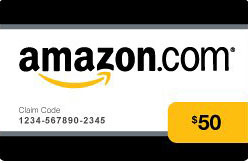 New chances to enter for the $10.00 Amazon Gift Certificate. Enter Contest Below! And Miss Darcy is worried that you’ll miss the last day, January 26th, to get a FREE download of The Virtuous Ward. Filled with romance, scandal, humor and of course a lovable mutt named Muffin. Look at this sweet face and you’ll definitely want to find out what takes place when Amity arrives for the first time to see her guardian who will be sponsoring her in society. Read the excerpt and then download by clicking HERE. Thus tempted, Amity’s companion, an enormous brown dog of unknown and highly suspect origin yawned, his great tongue arching upward between neat rows of white teeth. He stretched all four legs and emitted a low rumbling moan before he turned his head toward his mistress. Muffin’s eyelids raised and he stared at Amity through soulful pools of brown. Thus reminded of their imminent arrival, Amity bit her lip, feeling the jolt of her accelerated heartbeat. She pushed the huge dog off her lap and brushed at the clumps of dog hair left behind. Then reaching up, she untied the blue ribbon that confined her hair at the nape of her neck. As usual a cloud of the bright red curls had escaped and were billowing around her cheeks. She raked her fingers through the shimmering mass of waist-length hair and retied the ribbon. “My reticule! My gloves!” she wailed, searching the carriage. She found the reticule at last beneath the plain poke bonnet, which she jammed on her head, but after a hurried hunt, could not find her mittens. She remembered removing them at the last stop and accepted the sad fact that she would have to arrive at her destination with bare hands. The reticule was dusty and she grasped the strings and smacked it against the squabs sending up clouds of dust. Muffin inhaled and sneezed so heartily that the movement propelled the dog upright, where he sat, eyes wide open and black nose aquiver. When Amity giggled at the dog’s expression, he looked so offended that she burst into a loud whoop of laughter. Thus Amity and Muffin arrived at Edgeworth. This is the last day that you can enter the contest to win a $10.00 Amazon gift certificate. Even if you’ve entered before you can enter again since the options have been changed in the raffle. Click “Do It!” button to read the instructions for each entry option. *If the rafflecopter form doesn’t appear, please wait a minute for it to load. Once you’ve entered don’t forget to pick up the FREE download of The Virtuous Ward by clicking HERE. Regency Romance? If this is January, we must be celebrating! Miss Darcy just heard from friends who are snowed in the North and others who are being rained on in the South. What a perfect time to curl up with a book. And I have just the book for you. Not only is it exciting, romantic and humorous but it’s absolutely free! Starting Jan.22, 2013 The Virtuous Ward will be free on Amazon for five days. And just because it’s a brand new year Glades Publishing is offering a $10.00 Amazon gift certificate to let you know they appreciate your support. Books and gift certificates. What could be more fun on a rainy or snowy day. It’s so easy to enter Miss Darcy’s drawing! As usual she is up to the mark on fairness so she’s devised a wonderful raffle run by Rafflecopter who will choose the winner of the $10.00 gift card. Come join the fun! Once you’ve entered to win the gift card, download a free book by clicking HERE. What could be simpler or more fun?